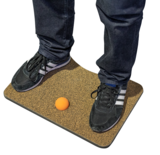 The Body Mover Balance Board provides a light bounce while standing, with 4 rubber balls on the bottom. Includes a relaxing massage ball. On working days we try to respond within 1 hour. 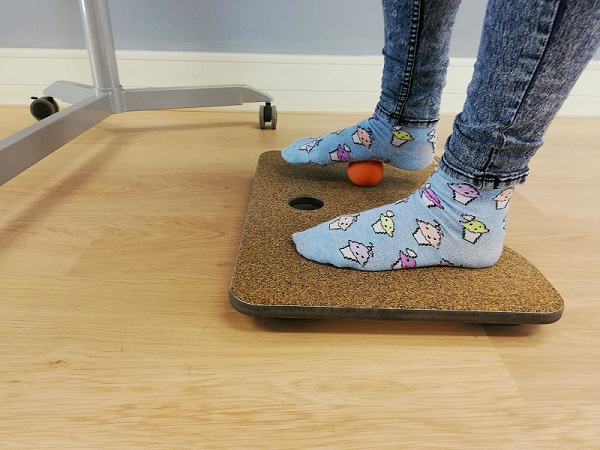 The Body Mover dynamic balance board is an anti-fatigue board, with which you can stay active all day behind a sit-stand desk. 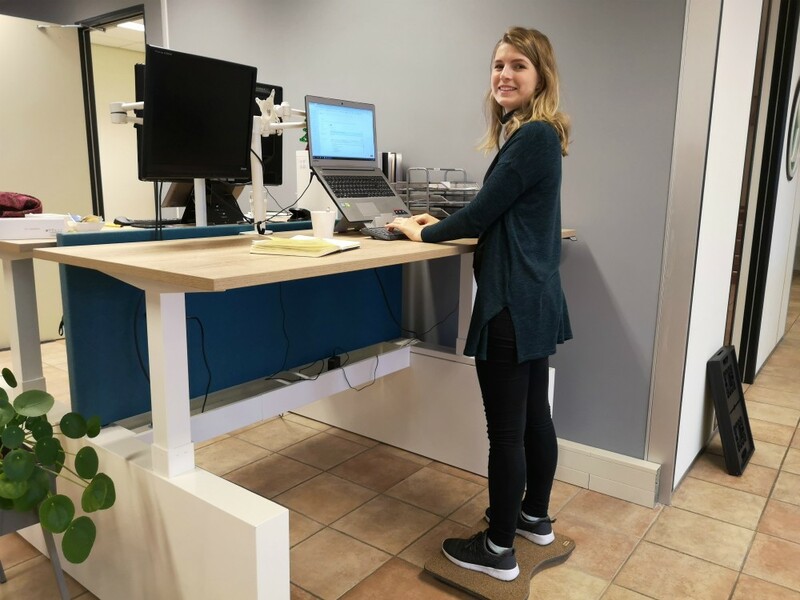 The Body Mover ensures that you can stand longer without pain and in an improved posture. 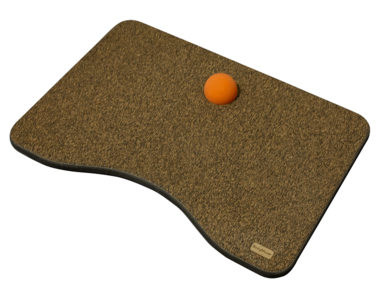 The rubber balls underneath the balance board stimulate unconscious micro movements and you can rock in a comfortable way in any direction. This improves your coordination, concentration, stability and reduces your back and joint pain. This way you are healthier and you feel fitter through the day! The Body Mover has a nice added extra: a detachable massage ball. Without shoes you can enjoy a wonderful foot massage by rolling, bending or applying pressure on the rubber ball. This way you stimulate movement and blood circulation. And you might be playing some football at the office with this massagebal! Material: HDF, composite of cork rubber. Want to try the Body Mover first? Visit the Worktrainer Experience Centrum. Come by and check it out! Sign up for our newsletter and stay up to date on the latest developments and offers.